In accordance with the present research agenda, the focus of TAPRI's research is peaceful change to which all projects are related. TAPRI research areas deal with problems caused by structural violence both within and between states, conflict management and conflict resolution including peace and mediation processes as well as post-conflict reconstruction and reconciliation. Research themes include peacebuilding, post-conflict societal arrangements, peaceful third party interventions, civilian crises management and the prerequisites of durable peace. Research uses systemic approaches when appropriate, but does not shy away from the mundane and everyday dimensions of war and peace. Thematic research areas consist of research questions that concern, for example, ethnic and nationalistic conflicts; issues related to borders and boundaries; human mobility; the gendered nature of peace and war; and post-conflict reconciliation including remembrance, post-conflict justice, ethics and recognition. The research designs use innovative research methods and diverse research materials. TAPRI research produces critical knowledge and is committed to peaceful change. It bears policy relevance too. TAPRI and its researchers also bring their contribution to debates in the Finnish society. This societal service function includes information in the media, civil society organizations, and educational institutions. 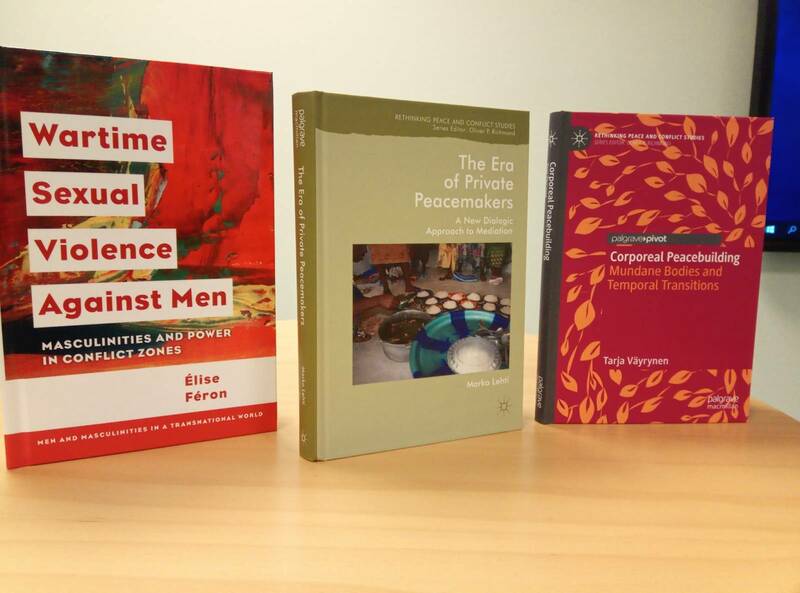 Research themes covered at TAPRI are diverse and open to new interventions but four thematic priority areas can be recognised: Feminist Peace Research, Peace Mediation and Peacebuilding, Everyday Peace and Global Mobility. There is a number of externally funded research projects that vary in scope and duration.